With over 100 commercial projects in operation or under construction worldwide, concentrating solar power (CSP) has the potential to play a key role in the mass production of power. Despite the enormous potential, this technology suffers from a number of weaknesses that are related to the intermittency and variable nature of the solar resource, which results in reduced capacity factors and operation flexibility. The incorporation of energy backup systems provides a solution to these drawbacks, allowing CSP to become more dispatchable, cost effective, and easier to integrate into existing power grids. Backup systems may come in the form of thermal energy storage (TES) or auxiliary fuels (mostly natural gas but also coal, fuel, solid biomass, biogas, biomethane, and syngas). Auxiliary fuels are usually integrated using conventional furnaces or boilers, although higher efficiencies may be achieved when using conventional or aeroderivative gas turbines. The possibility of using heat transfer fluids (HTF) with higher thermal stability (like molten salts) would permit integration of energy backup systems in a more efficient and cost-effective manner. A great deal of research and development is going on at present with the aim of devising CSP plants capable of competing with other energy resources and technologies. 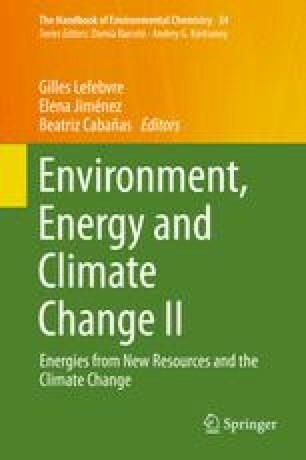 This paper provides a critical analysis of CSP technologies based on parabolic trough solar collectors, describing the pros and cons associated with incorporating backup energy systems. This analysis includes technical and environmental aspects of different CSP configurations. Thanks are due to MINECO for funding under Program INNPACTO (IPT-440000-2010-004) and to The European Commission for funding under FP7-ENERGY-2012-1 CP 308912.